The United Nations recently declared January 24th as the first-ever U.N. International Day of Education. The Avangrid Foundation is committed to promoting education, especially when it brings quality employment to our communities and invests in the future of our company. We had the pleasure to bring together representatives from Kennebec Valley Community College (KVCC), the Maine Community College System, the Foundation for Maine’s Community Colleges, Central Maine Power Company (CMP), and Avangrid Foundation, to celebrate the renovation of the Nutter Field House. A $250,000 grant from the Avangrid Foundation, contributed in $50,000 increments over the past five years, helping to fund the $1.39-million renovation of the Nutter Field House and new classroom space for the KVCC Electrical Lineworker Technology Program, located on the Alford Campus in Fairfield, Maine. The only program of its kind in New England, students combine classroom learning and the hands-on training necessary for the demanding work that utility, telecommunication, construction and engineering companies need from future employees. The Nutter Field House provides the lineworker program with four to five times more space than its previous location. That added room includes a dedicated classroom for the program, office space for faculty, indoor utility poles and an outdoor pole yard for hands-on, off-the-ground training. Over 130 individuals applied for the roughly 27-person program last year, making the acceptance rate for the one year program as selective as that of neighboring Liberal Arts standout Colby College. 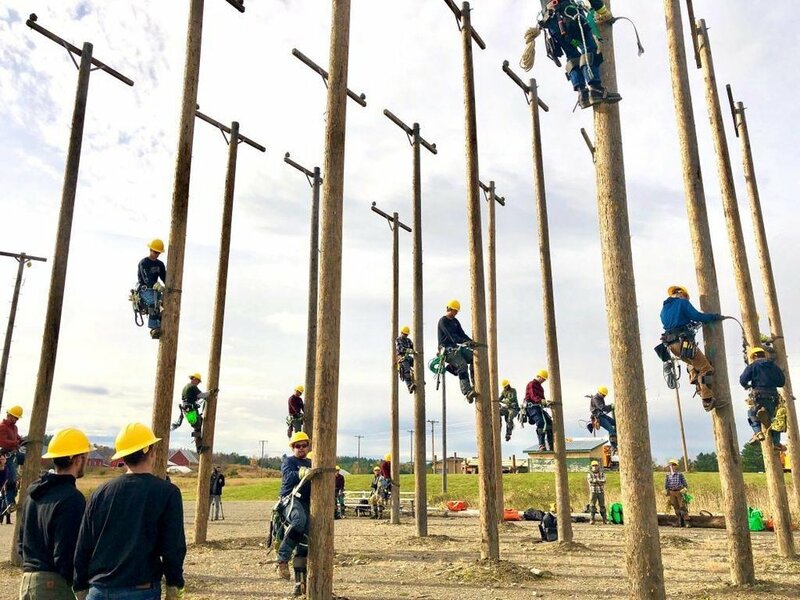 It’s no mystery why there is so much interest in being a part of KVCC’s new class of lineworkers. 91.3 percent of KVCC’s electrical lineworker program graduates are employed within six months and earn an average of $60,908 annually. More than 570 students have finished the program since 1990 and many have found well-paying jobs in Maine, with almost half of CMP’s 200 lineworkers being KVCC graduates. This is meaningful work, for meaningful pay, providing a meaningful service to the state of Maine. And but for the generosity and the vision of Avangrid and Central Maine Power, we would not be here today, and we would not be in the position of being able to provide this service to the citizens of the state of Maine. The Avangrid Foundation is excited to continue to provide significant opportunities in Maine and throughout the communities where we live and operate. Check out our video highlighting our KVCC partnership, featuring some of the amazing lineworkers and lineworkers-in-training who have been supported by Central Maine Power and the Avangrid Foundation. Don’t forget to subscribe to our YouTube channel while you’re there! 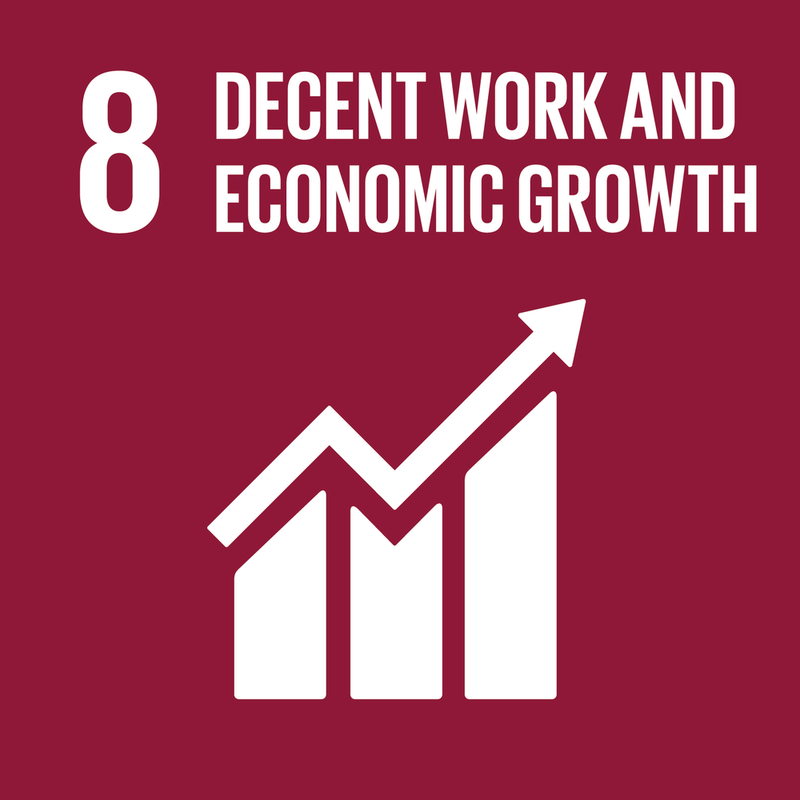 The support for KVCC represents the Avangrid Foundation’s commitment to the UN Sustainability Development Goals, including Quality Education, Decent Work & Economic Growth and Partnership for the Goals.